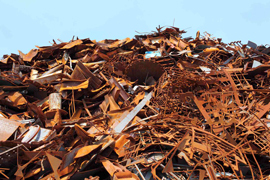 At Fleming Metal Recycling we offer a comprehensive ferrous metal recycling service and remain a highly competitive buyer of all grades of scrap metals. 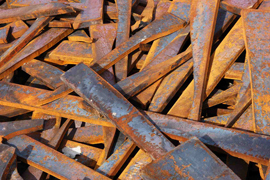 Regardless of the quantity available, at FMR, we are interesting in delivering to you, our customer, the best prices possible for your scrap steel, tin, iron and cast. Whether metal household products, redundant farm machinery, garage scrap, construction scrap, redundant plant & machinery or factory cuttings we are committed to ensuring that all our customers get exceptional value. At each of our licensed recycling centres our trained staff will assist you in grading, unloading and correctly weighing your scrap metal. All our facilities operate with an external weighbridge clock, have computer printed weighbridge ticketing system and are monitored using a modern CCTV network. So whether it is a one-off transaction or an on-going service contract, FMR aims to ensure that our customers have full traceability and full confidence in the service we provide. Trust Us, when Turning your Metal into Money.